Creativity is at the core of what we do. We employ the brightest, most innovative minds so that we can continue to reform and enhance the way the world explores. We don’t settle for anything less than excellence. 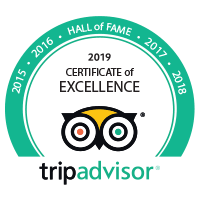 Through training and development we ensure that our staff are the best in their fields so we can continue to deliver top-rated experiences for our guests. Teamwork is fundamental to our success. Together we work hard, share ideas, drink hundreds of cups of coffee, laugh a lot and achieve more. Diversity helps us foster new ideas. Each employees’ skills, experiences and backgrounds bring a unique perspective and help make City Wonders even more wonderful. So keep on doing you! What makes City Wonders so special is the people that work here. Everyone is so driven, energetic and hard-working, but still leave plenty of time for fun in between! Honest and full support from the company…This is what I really like and enjoyed from the very beginning of my work in the Accounts of City Wonders. My Finance Seniors always assisted me in any area of my duties. I like working at City Wonders because it’s a really nice working environment and amazing colleagues. I’ve also mastered some new skills and discovered new attributes about myself that I’ve never even thought I’d have. Working with such a diverse team of creative and collaborative people is what makes City Wonders so great! Every day we are challenged to think outside the box and find new ways to achieve the best results. City Wonders has believed in my potential since day 1 when I started here as an Intern! They’ve provided me with all the support I need to learn and grow in my career. We focus on results, not what time you come to work, that’s why we offer flexible working hours. Early risers and night owls welcome. Our diverse team is made up of nearly 20 nationalities. Work with people from around the world, with different experiences, ideas and perspectives. We want to keep you healthy as well as happy. That’s why we offer all our staff comprehensive health insurance plans. A curious mind is never finished learning. Through our development programs you’ll have everything you need to become an expert in your field. We know you work hard for your money, that’s why we work hard to protect it with our range of employee tax saver schemes. At City Wonders our employees come first. We work hard but with our active Sports and Social committee and monthly team nights out, we play hard too! Want to enjoy the great benefits we offer our staff? Check out our list of current vacancies and join our expanding team! We excel in delivering unparalleled customer experiences through purchasing, guide scheduling, logistics and customer care. We spread the City Wonders’ story through marketing, advertising, communications and B2B distributors. We develop and maintain advanced information systems that enable our company to succeed. We ensure that City Wonders is cost effective and compliant so that we can continue to finance and pioneer new initiatives. We create once-in-a-lifetime experiences for our customers through relationship management and partnerships. Data, it’s what we do. We analyze the numbers so our teams can make informed decisions that future-proof our company. We succeed in supporting and enhancing City Wonders’ wonderful team culture through talent recruitment and employee experience. Starting out in your career and looking for some experience? We can help. Contact our HR Department about interning with us.